Our LED Downlighting Package is available for all tables. Our weatherproof LED strips and control box are made in the USA specifically for outdoor applications. With custom temperatures available, we can match specific cool or warm lighting schemes. 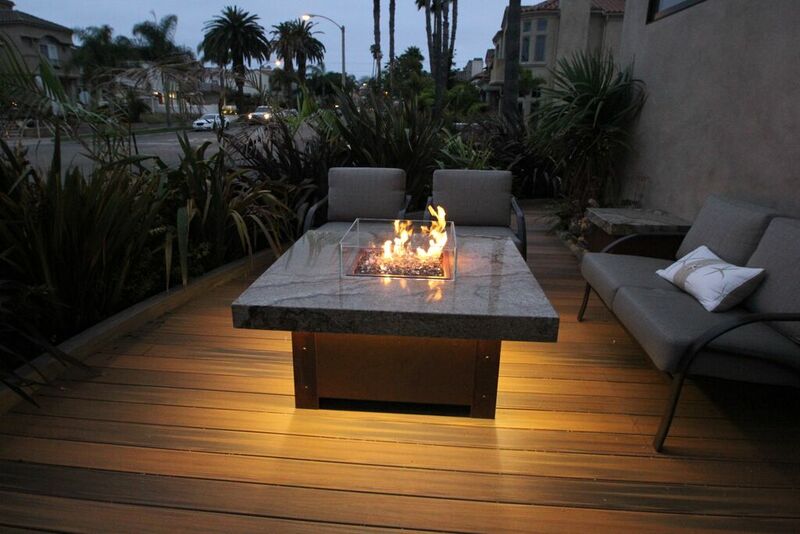 When mounted underneath the oversized table top of the COOKE Montectio or Balboa, the lights provide full yet relatively contained lighting of the floor space surrounding the fire pit. Our indirect lighting adds a nice diffused glow without being able to directly see the sometimes glaring dots of the LED strip itself. When combined with a Famosa, Diego, or Austin the lighting adds a thin, straight, stylistic line of light to the base of the table. The lights are mounted inside table and light is allowed through the gap between the floor surface and the base of the table. Our LED lighting can be controlled independently of the fire and can be connected to a regular light switch, home automation system, or rotary timer. We love this feature because our lighting creates a stunning space even without a fire. 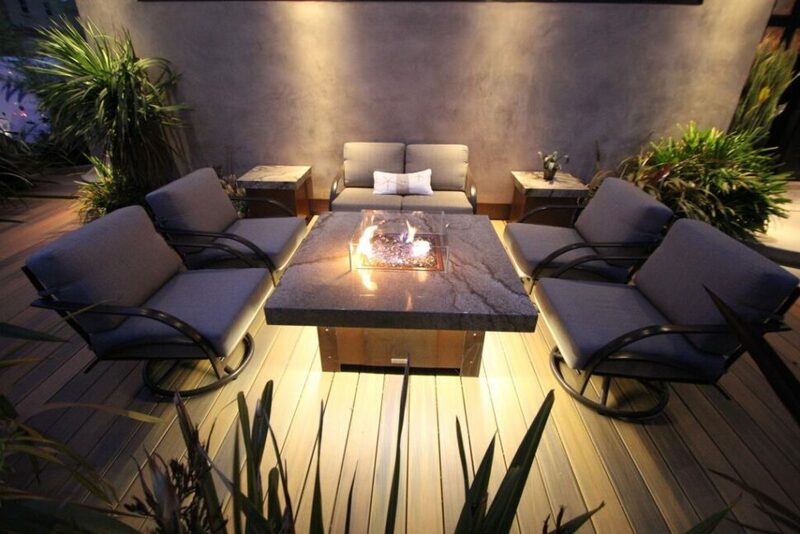 LED lighting is a great way to add a little excitement but also accessibility to a dark outside space. 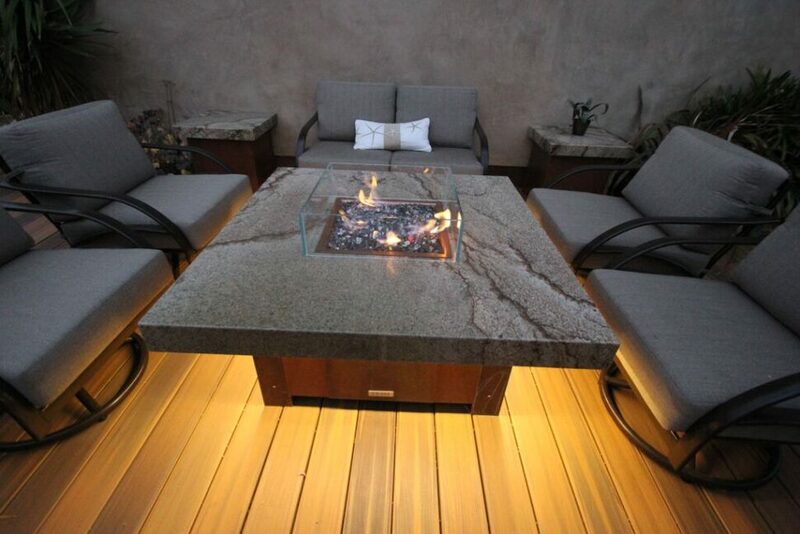 When used while the fire pit is burning, your COOKE fire pit table will truly glow. When guests can see their footing and safely move around the fire pit, everyone has a better experience. 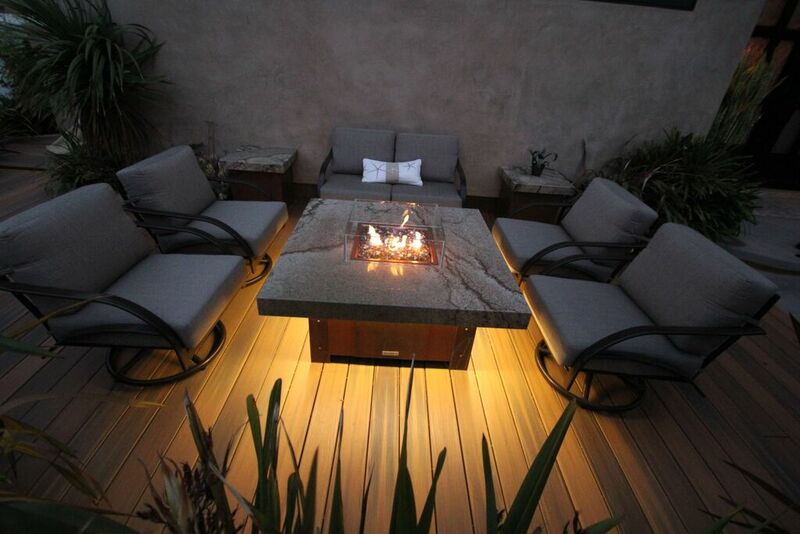 LED down lighting adds a layer of safety and a nice visual accent to your patio paradise.